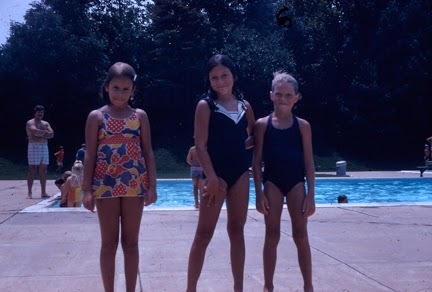 I have been an avid swimmer most of my life! We were brought up as close to the water that we possibly could for a suburban family in Baltimore County. We had a Donald the duck vinyl pool that had a metal frame and corners made of metal that you could sit on. We would put the sliding board up to it so that we could make a big splash! 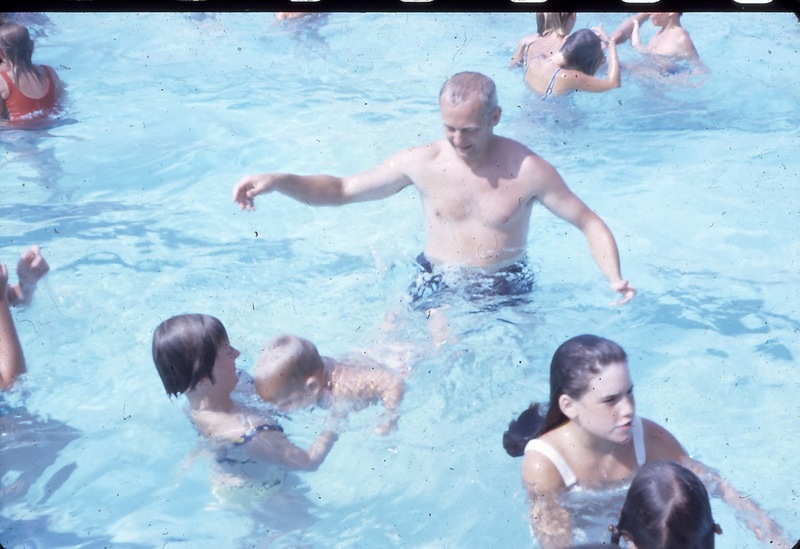 We moved on to a pool membership at Rollingwood Pool which we went to as much as we could. 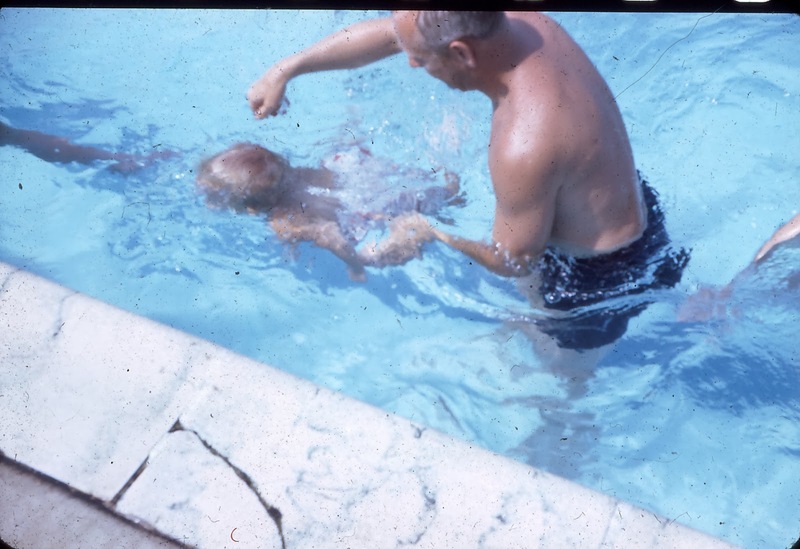 This would lead our Dad into being very creative on those days that he had lots of work to do around the house while we begged him to take us to the pool. Out favorite is the "individual swimming pool". Dad told us to each go get a large trash bag and bring it to the back yard. 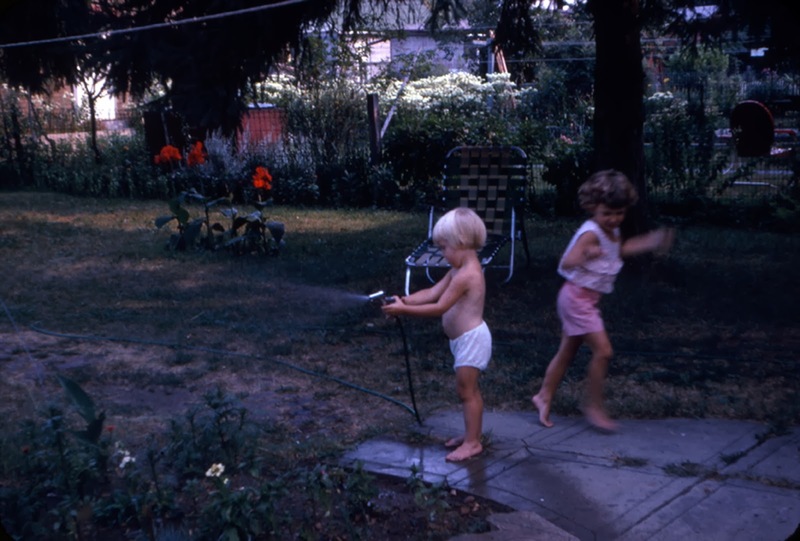 In our bathing suits we would climb into the trash bag for him to come fill it up with cold water from the hose! Not much you could do but hold up the sides of the bag and cool off! When I went to college I was so excited about the swimming pool at Burdick Hall. You could swim every night after 7 until 10 except Tuesday nights. I took a life saving class for a gym credit to be int he pool during the day and then actually join the swim team my senior year that turned into me playing water polo in the spring! Things I did even disguised as a punk rocker. Little did my punk rock friends know what I was doing in my afternoons. Now its the YMCA and my weekly mile swims. My goal is to make that 2-3 miles a week. I get rewarded with some solitary time in the sauna to get rid of my day at school. All stress goes away and I can enjoy my evenings after that. I think this year, it will be my heart saving routine that I need to stick to. If you do it more then 22 times, it turn into a habit! Lets hope it does!